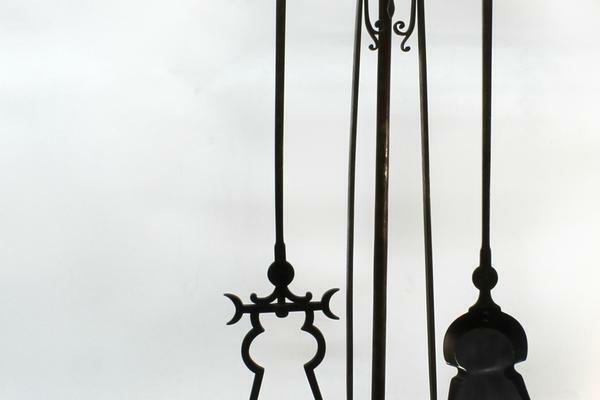 A short exercise in the cleaning and waxing, and minor repairs of an exquisite set of late Victorian/Edwardian fire irons and their stand. 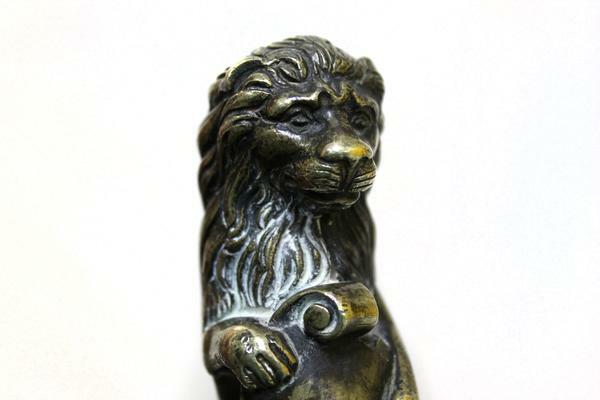 This shared project between fellow metals conservation student Daniel Ravizza and me came about after admiring the set of fire irons which reside next to the large fire place of the Oak Hall here at West Dean, and later asking Jon Privett, our tutor, if would be at all possible to make a mould of one of the brass lion handles. After negotiating a deal with the house steward, Emma O' Driscoll, our wish was granted-but in exchange for it we would lightly clean and wax the set to a "country house finish" as they were in need of a bit of TLC. 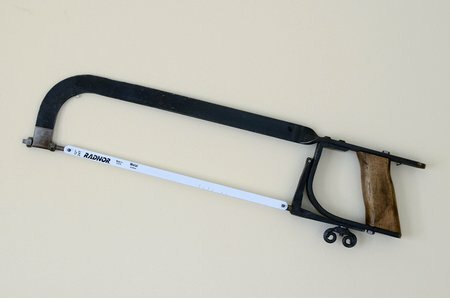 The tongs, shovel and fork exhibit the highest quality of craftsmanship and the finest of detail that I personally have ever seen in such a set. 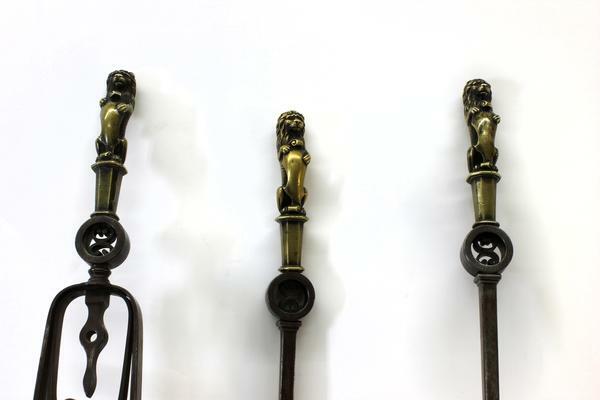 The brass lion cast handles, with chased finished details, are to be marveled at and are a credit to the skill of the mould maker. 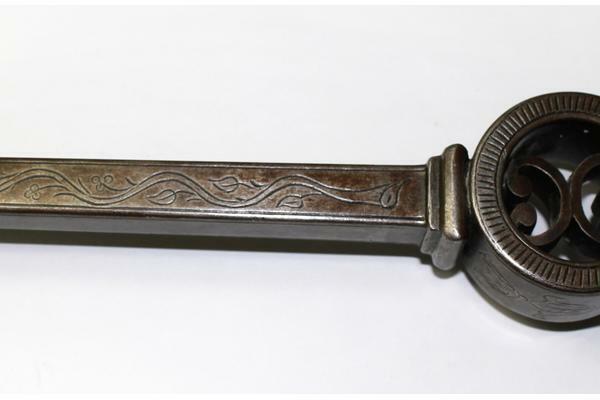 The handles are attached to cast iron rings which have forged scroll work fitted inside. 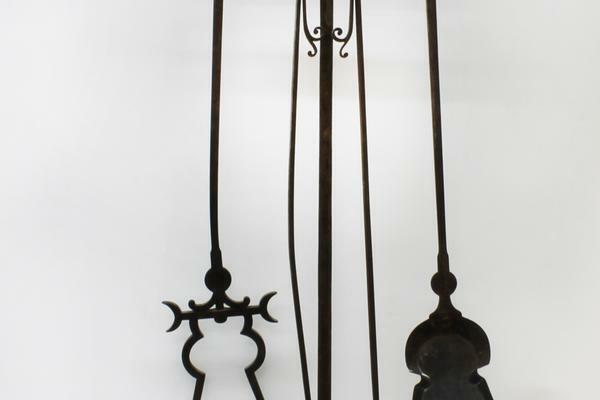 Attached to the bottom of these rings the fork and shovel stems have been beautifully forged from wrought iron with an elegant taper toward the ends, and the tongs were forged and hammered using a continuous piece of wrought iron. All three pieces were engraved with a vine leaf decoration and border. This set of tools has probably passed through three or four metalworking trades and no expense was spared in their production, with the final result fit for a king or at least to impress a king-as these fire irons were probably commissioned by Edward James's father, William James, during the building of the Oak Hall in the 1890s. The king in question was Edward VII; he was a regular guest at West Dean as depicted in many of the photographs around the house. 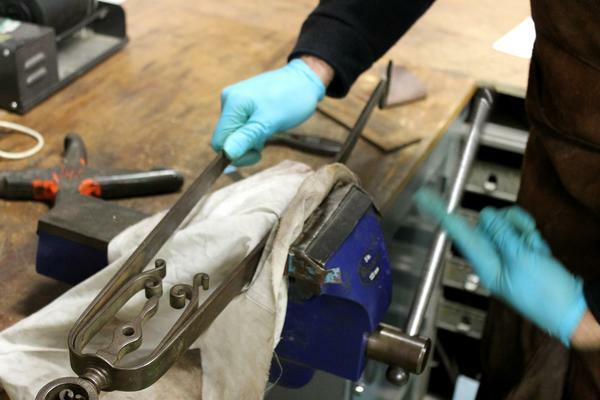 The fork and the tongs had evidence of some wear after their long life of service and needed some slight straightening; this we did very carefully using the vice. 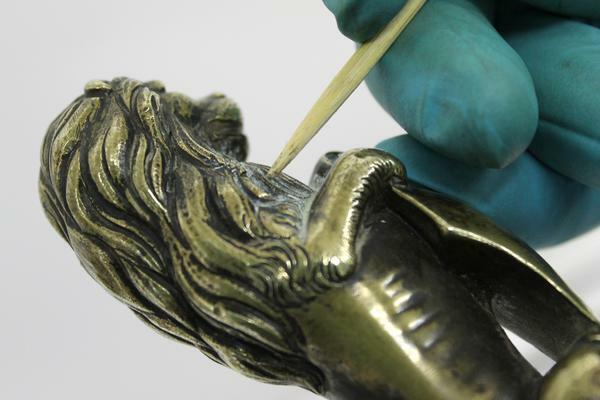 The whole set was carefully brushed down with a soft brush to get rid of any dust, and then gently rubbed down with wire wool to remove any surface crust such as old soot and ash from the fire. 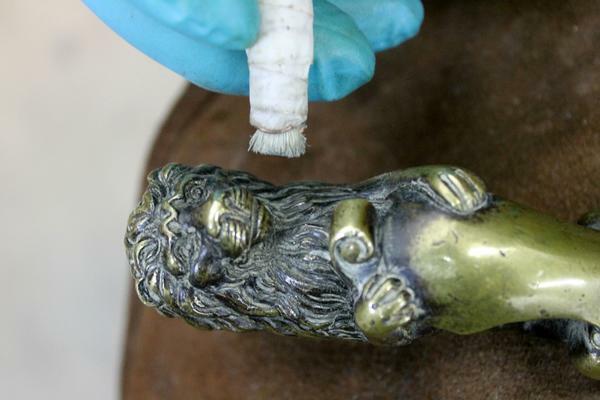 There was also some white accretions on the brass lions, probably left by old cleaning products such as Brasso, that needed to be cleaned off. All the time we were handling the tools we were of the conservation principles of "less is more" when cleaning, because even cleaning is quite interventive. When applied to the objects we were working on here this meant it was a "clean" rather than a "polish" that we were looking for. We were careful not to remove any of the linseed oil coatings or slight tarnish the tools had acquired during their life. 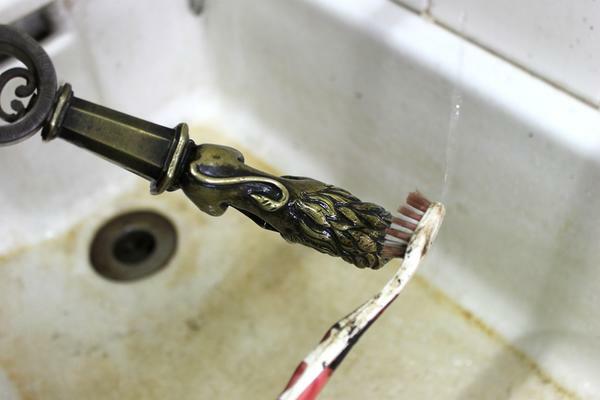 Under the hot water tap and using a toothbrush the deposits were loosened but not entirely removed. A wooden stick was then used to remove more of the unwanted deposits. Next, using a cut-down artist's brush, we were able to flick more of the deposits away. 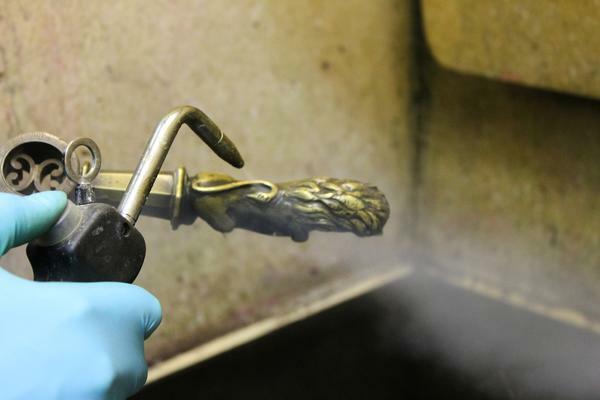 Any deposit that was still clinging on was thoroughly removed using the steam cleaner, and after this the whole set was wiped down with industrial meythlated spirit (IMS) for one last clean and to dry out any moisture left by the steam cleaning. 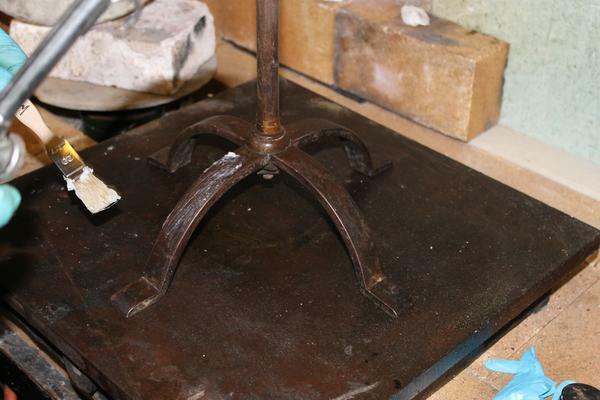 Now the cleaning is finished the microcrystalline wax can be applied. 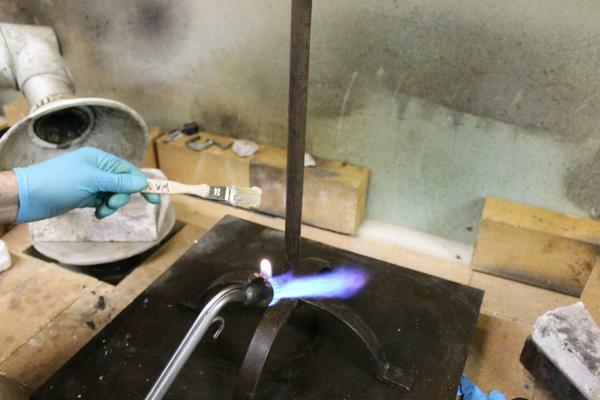 A torch was used to gently heat the metal and then the wax was brushed all over, melting into the warm surface. 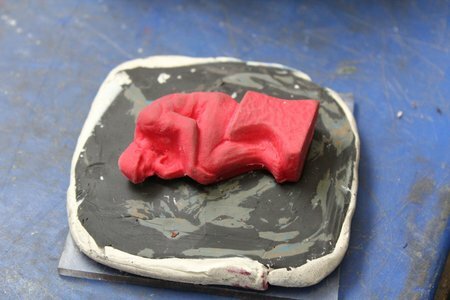 Any wax left on the surface was buffered off with a cloth leaving a soft sheen and a protective coat. A condition & treatment report will be written up and returned with the tools, which are now ready to take their rightful place beside the fire in the Oak Hall.